Due to the large number of lawyers who have visited former Prime Minister Ehud Olmert in prison, the Israel Prison Service (IPS) has decided to change its policies on visits. Under the new rules, prisoners will be allowed three lawyer visits per week, and no more than one per day. In addition, each visit will be limited to 45 minutes. 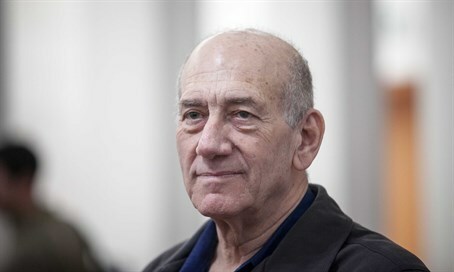 Channel 10 reports that Olmert has received numerous visits under guidelines that permit any member of the Israel Bar Association to meet with prisoners. One such guest was former Minister Haim Ramon, a friend of Olmert who renewed his legal license only recently. IPS officials say that the former Prime Minister is taking advantage of the law allowing an unlimited number of lawyers to visit a single prisoner. "The prisoner Olmert is creating an inequality between himself and other prisoners."